DpnI | M1236 | BioVision, Inc. The DpnI restriction enzyme digests DNA. 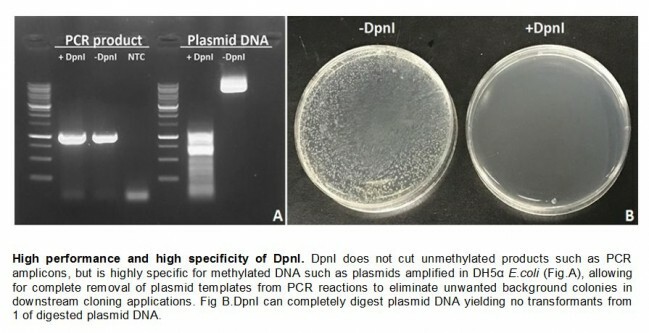 DNA purified from a dam+ E. coli strain will be a substrate for DpnI due to the adenine methylation.